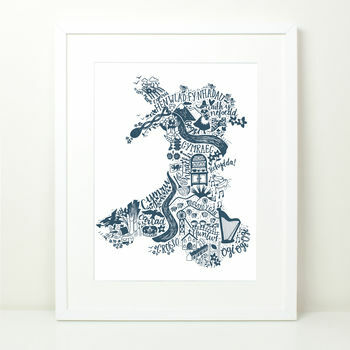 A lovely print of Wales hand-drawn exclusively for Adra. Features iconic Welsh words, objects and emblems shaped in a map of Wales in a choice of slate blue or charcoal grey ink. 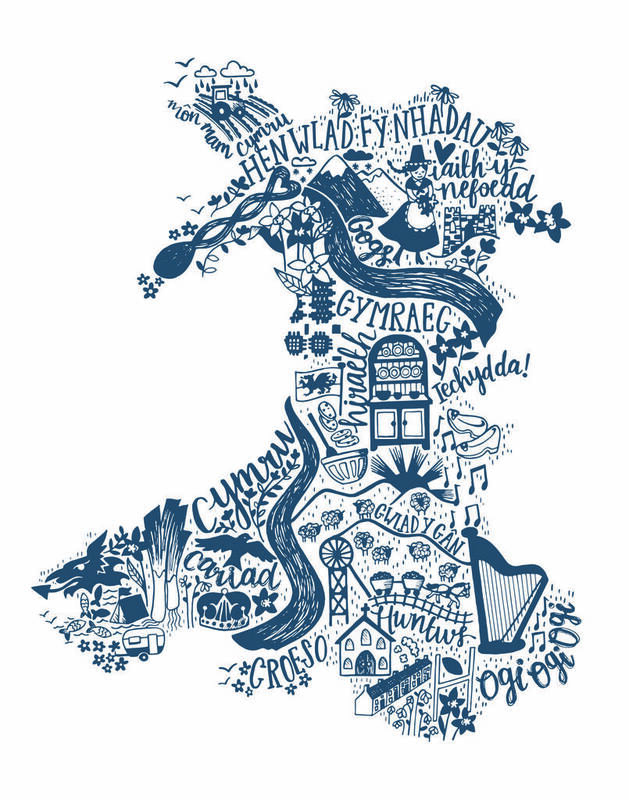 Perfect for all those whose heart belongs to Wales! 12x16" print available unframed, or framed in a white mount and frame. 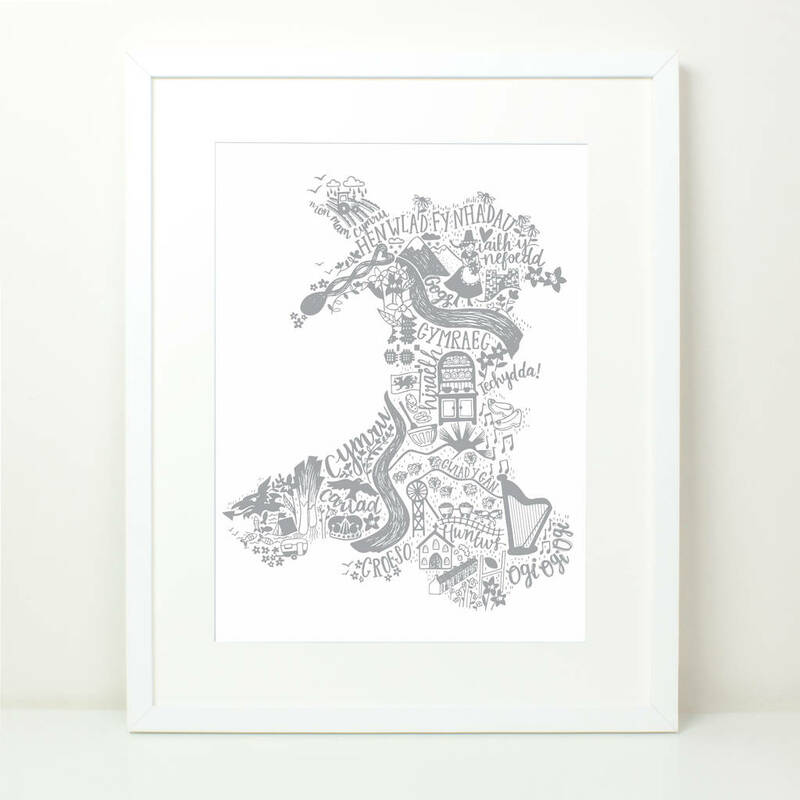 A4 print only available framed in a white mount and frame. High quality giclee print on soft textured fine art paper. Unframed print size: 12 x 16". Framed 12x16" print size 52.5 x 42.5 x 3.5 cm. Framed A4 print size 42.5 x 32.5 x 3.5 cm. All fit standard size frames.